We were in the store the other day when my son saw a multiplication workbook. He has been working on his times tables and using this skill in his ScootPad practices. He was drawn to it immediately and wanted to get it. It was a dollar, so I thought it would be good to respond to his enthusiasm. He began happily working on it; what parent could complain? He asked if he could do the book instead of ScootPad for now, which, again, was fine with me, as my goal is always to build off engagement. But then it died. I quickly found it becoming a chore: me telling him to focus, to get to work, to finish the page. I became the driving force behind his progress instead of him being that, or the novelty of a new question popping up re-alerting and re-engaging him. I took the booklet from him to take a look at it (which I had not even bothered to do before I bought it). Again, I was reminded of what is so disappointing and frustrating about books like this. 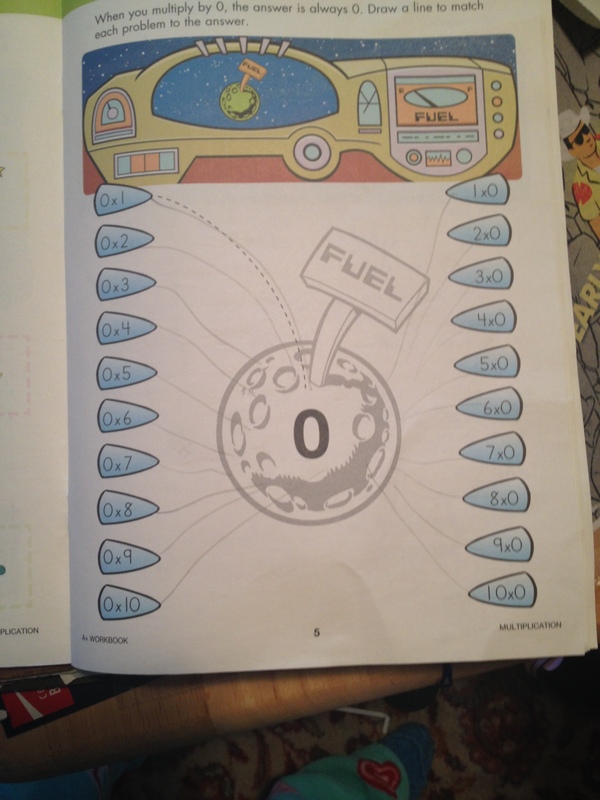 There was a whole page devoted to drawing a line from each multiplication sentence to a giant zero in the middle of the page. A whole page of equations like 1×1, 1×2, 1×3 in numeric order. In short, a whole booklet of a waste of learning time and a zap of enthusiasm and learning energy. No wonder my son tired of it so quickly! Workbooks like this often zap learning energy and excitement. Like most of you, I am preparing for a new school year, both in my classroom and with my own children. And, like most of you, I review the choices I made last year for how my kids (biological and otherwise) will spend their time. I hadn’t purchased the multiplication book to evaluate my commitment to ScootPad. But when I had this inadvertent experience with my son’s multiplication book this week, I was reminded of everything I feel my kids get, and everything I am spared from, in choosing ScootPad!